Last summer I read eight books that all featured London as part of a personal project to clear books off my TBR and to explore more deeply a city that I love despite never having been there (yet). This spring I've read three more London-centric books that are seriously tempting me to celebrate London Town again this summer. First, there was Ten Second Staircase, fourth in the Bryant and May series by Christopher Fowler. This is the series that inspired my project last year and I seriously adore it. I have to force myself not to read it too quickly or else I will run out of books far sooner than I would like. This story is a modern one that includes some details about the division between the kids and scholars of a posh boys' school and the lives and motivations of those less-privileged people living in the estate on the adjoining property. It's not the main focus but I found it to be some of the most interesting bits of this book. The mystery was a good one too (of course) and Bryant and May were their standard non-conforming selves. We even get more of May's granddaughter April in this one. I'll probably pick up book five pretty soon because I just can't resist. Next was the rather unique The Pigeon Pie Mystery by Julia Stuart, the author of The Tower, The Zoo, and the Tortoise. It delves into the lives of a host of interesting characters who reside in what was called a "grace-and-favor" situation in Hampton Court Palace at the end of the nineteenth century. This was a way for the Queen to grant a dignified living to those upper-class people who had found themselves fortuneless for one reason or another, mainly widows. Though Mink (officially Indian Princess Alexandrina) is young and vibrant, her father the Maharaja has died and she is left with nothing and is therefore grateful to be invited to reside at Hampton Court. She is accompanied by her servant and they settle in nicely, until they find themselves in a bit of trouble after a murder occurs. Some parts of this story were a bit too coincidental and others a bit too cute. The main romance was silly but funny. But the period details and research were so well done and there was a bit of "girl power"involved in the story which helped make it a really fun read over all. 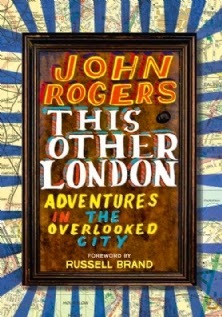 And finally, I just finished John Rogers' This Other London: Adventures in the Overlooked City. This new release presents a series of ten essays covering ten urban walks that Rogers took around the periphery of London in the last year or so. I really can't adequately describe how fascinating this book was. He brought together history, folklore, geography, pop culture and politics in an amazingly accessible way. By the end of the book, I wanted nothing more than to follow in his footsteps and to explore this great city for myself. It really is all I can do not to launch a repeat project this summer but I have something else in mind to help with my TBR so I guess I'll just have to sneak a little London in here and there. Oh, London! I've been a couple of times, and it's a fascinating place, and the more you know about it the more fascinating it gets. This Other London sounds like a great resource; I'll have to read it before I go back (one day I will go back!). I hadn't heard of Stuart or Fowler before, and I like the sounds of both those books. 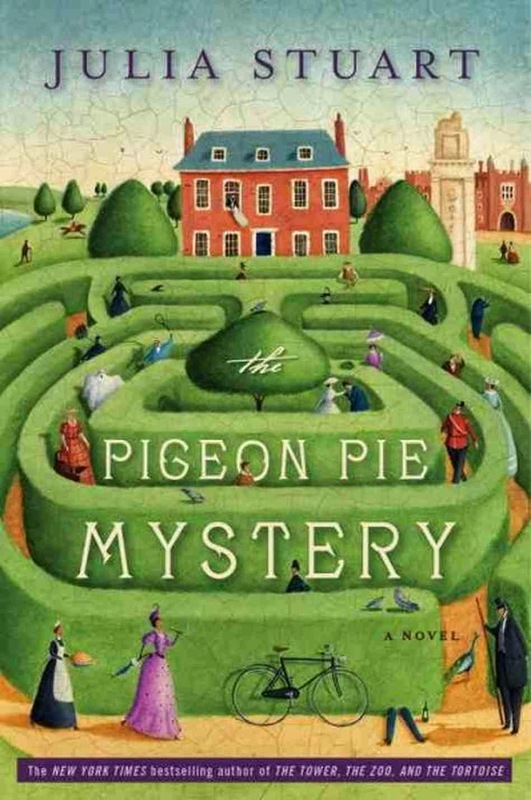 The cover of Pigeon Pie Mystery reminds me of The Incorrigible Children of Ashton Place, which is a fun, strange series. I've read the first Incorrigible book but need to get to the rest of the series. And I'll definitely get to London someday ... and hopefully more than once! I have sadly never been to London, though it is one of the things in my bucket list for sure. 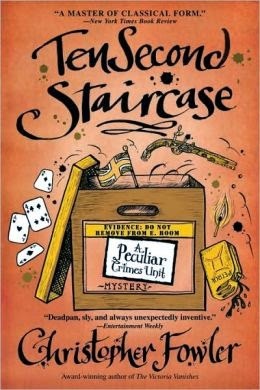 I am really interested in reading Ten Second Staircase, looks and sounds very charming and like something I would enjoy! Thanks for sharing these titles. I definitely need to get to London sooner than later. The worst thing now is that there are just far too many things that I want to do. I'm having to prioritize my future plans! This Other London sounds great -- I'm sure it would just make my heart hurt that I can't go to London straightaway and do the same walks.